My daughter Katie Beth and I are in Washington, DC for the final FDA Arthritis Advisory Committee (AAC) hearing about Pfizer’s JAK, tofacitinib. Early in the morning, Katie Beth and I will be en route to the meeting. 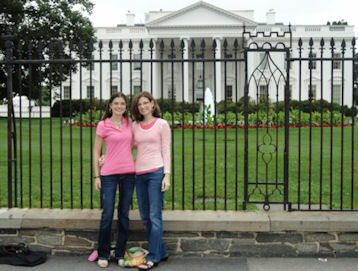 This afternoon, when it stopped raining we decided to walk down to the White House and take some pictures for Roo. It’s the one souvenir he really wants – the photos. (I still bought him something else, of course.) We made it there, and got some tourist photos. But getting back was seriously tough. I sat on every bench we passed, but there are no words for how bad my feet and hips and back hurt… Those of you who know don’t need to hear more. Anyway, we somehow made it back for more meds. I’m sitting on the bed now with hot tea and piles of pillows. Feeling better except for the cramping of my feet which are still quite angry. Since I grew up in the DC area, the sweet smell of the spring trees adds a deep contentment. And I was so glad to have made it down there! This seems amplified if one has RA, but that’s life isn’t it? A lot of pain, with sweetness in between. We’ll fly home Thursday and Katie Beth’s graduation from community college is that afternoon. This will be extra sweet since we didn’t hold a graduation from high school (homeschool)! It will be tight timing, but what kid going to pharmacy school would pass up an FDA hearing? It has been tough, but we also can know we’re supposed to be here. Yesterday, we were assigned middle seats at the back of the plane – on separate rows and no one wanted to move so I could have Katie Beth with me. Where we finally ended up, the woman next to me just happened to work at the FDA and prayed for me to be well and for success of RA research! We even got to see a couple of special friends while we’re here. Watch for the sweetness. Even if it’s between the pain. My thoughts and prayers will be with you tomorrow. You will do what you have always done, represent us professionally. Thank you for what you do. I wish I had known about this site and you coming to DC. I am an RA warrior, 24 and live in DC. Thank you for representing us. I have always wanted to get to know people who could be able to understand what I go through. I hope all goes well tomorrow and can’t wait to read what happens. I’ll try to post an update asap about the meeting. It seems that tofa may get approved later this year. Kelly. 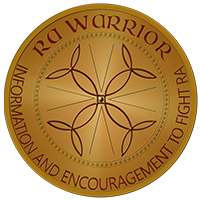 I’m so excited for you and today and for all RA Warriors out there! Love you! Angie, its freezing in here. Wish I dressed warmer. Shiver..
Oh, Kelly! I hope you have some heating pads with you to warm up after you return to the hotel. Elizabeth, I was so cold & in so much pain & yawning, groggy from meds – when the hearing was over, I rode back to the hotel & went to sleep under blankets with my dress & hose still on! 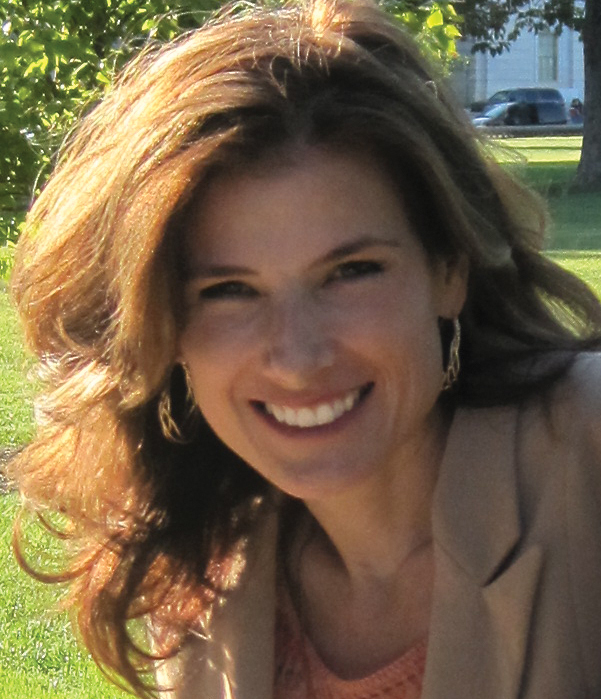 I sometimes wear a heating pad so I can speak without shivering – I wish I’d worn a pantsuit & heating pad as usual. Several mistakes on my part by not anticipating the situation I guess. You live & learn. Tried to get in on the meeting but it says it was full! Yeah! That means alot of people are interested in this,thank you Kelly! Your truly an inspiration for us. Well, drat! the computer “room” was too full for me to access. But I’m praying for you the whole time! You are our hero, Kelly! Go get ’em, Tiger! Kelly thank you for all you do for all of us. Boy do I understand about your feet! Praying for you in my daily prayers. Thank you so much, Sharon. I know that helps. Just heard that the FDA approved the drug—hooray! (They probably heard that you were coming to town and started shaking in their boots! And rightly so, since you had all of us cheering behind you!!) One Boston news channel had the announcement an hour ago, and perhaps the others also reported this news. Tomorrow’s newspapers may also have updates on this…..You may be tired and hurting today, Kelly, but the day was successful! Obviously, we don’t know all that went on, and we’ll look forward to your report, but we hope you received hope and validation today that what you are doing is so important to so many people! I’ll try to type up a more detailed report today, Vi. The committee did recommend approval – with several caveats. The decision will be made by the FDA during the summer probably & we’ll know in a few months the final decision. But it’s likely yes after the votes this week. The last 3 weeks have been incredibly hard w/ lots of time on heavy meds or ice & pillows. Hopefully some rest & seeing the spine docs will ease it a bit – but I’ve numerous deadlines, etc. ugh…. I know you get it. Send Kaitlyn my love. As always, they are worried about the cancer rate but doesn’t that go without saying with the RA crowd? I hope you have a great time! Thanks for being there and fighting for us. 🙂 I hope that Katie Beth has a wonderful time, too! And congratulations to her on her graduation!!! One more article! I frequent the “Medical Prescribing Reference” website, eMPR. 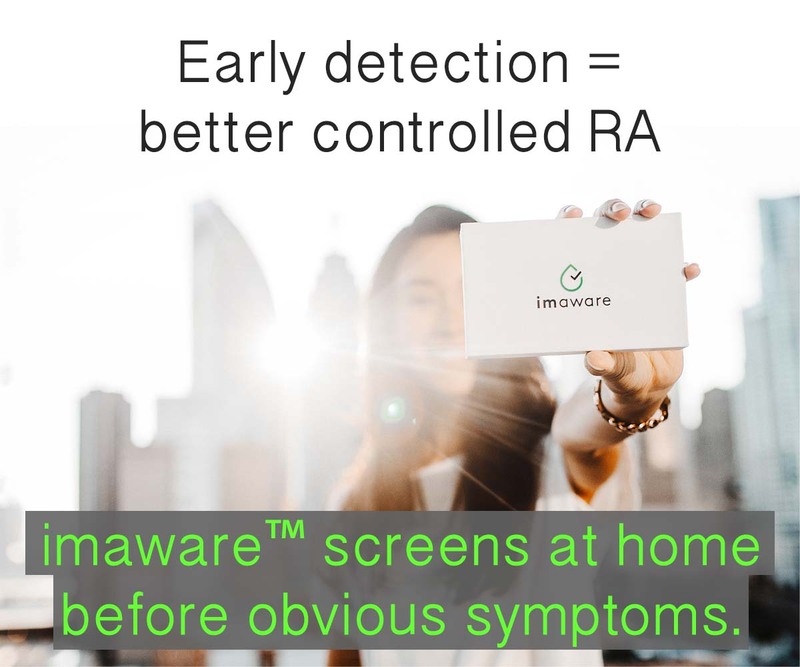 They also have a blurb on it, and they say, “The tofacitinib group showed statistically significant changes versus placebo in reducing signs and symptoms of RA, as measured by ACR20 response rates at six months. It also reduced the progression of structural damage and improved physical function. As for the 5mg twice-daily dose, the study only demonstrated statistically significant improvements versus placebo in ACR20 response rates at six months, but no differences elsewhere.” That sounds pretty significant to me! But the new drug which is a pill will be more expensive than the injections. That is a shame and I think the patent being up on lipitor plays into it. Hey, Jenn, can you tell me where you heard that please? Everything I’ve read & everyone I’ve spoken with at Pfizer says the price has not been set yet. There are many factors which will affect it – like the 10+ years of research & clinical trials that went into developing the drug. I sure hope it would not be more, but hopefully we’ll find out later this year. all the best wishes for tomorrow!! no wonder you will do amazing as always. I’m so proud of you, Kelly AND you Katie Beth; we SO APPRECIATE your work!! 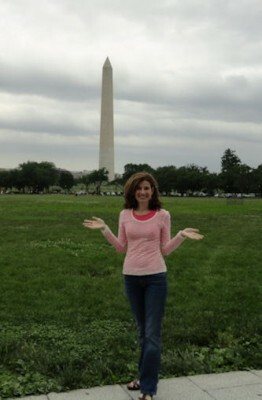 I happened to have just made a flight from WA to WA DC~I also grew up DC area. now, I’m here to spend time with my Dad as he is fighting cancer and has been hospitalized receiving radiation treatments. I too had a middle seat and had no idea how bad my legs would feel by the end of the trip. when I switched planes in Chicago I just went up to the gate when they were doing all the preboarding and told her I was disabled and she let me right through…at least that made the boarding easier. also I brought my own pillow and blanket on the plane and that helped. I didn’t think about a bulkhead seat; thanks Steve:) that’s what I’ll do for my return trip! how very, very cool! Thanks for doing this for all of us – your presentation was wonderful! Kelly, your written statement for the hearing is amazing. Perfect in every way. Thank you thank you thank you! I did the Jak study and am at the tail end of 4 years for the different variences required. 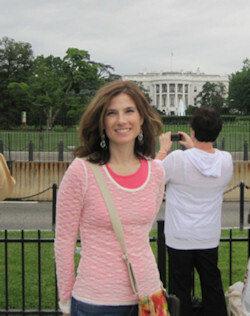 I am thrilled to hear it was approved, and sorry I hadn’t found this blog sooner!. first hand knowledge and being tested with this, I can tell you I literally went from steroid and 8 methyltrexate a week to the Jak. I had the placebo for the first three months, and could tell, literally within 48 hours when I had the real deal. I do battle many moment sof pain and fatigueas always, but my life improved 100%; from literally not being able to walk for more than a few steps or bend my knees to sit, to being able to move much more easily. I am working with the fatigue now, trying to understand when I have it and how to cope without becming distressed or depressed. God Bless You All. Thanks, Robin. I hope it will be made available & will work for a lot of people as well as it did for you. So many of us have been stuck where you were, having a hard time sitting or walking or using our other joints. I’ve become convinced that we need much more research and possibly other types of therapies so that we can all experience that reprieve.